This past Sunday was my 25th Birthday. I celebrated the big 2-5 with a BBQ on the terrace of my apartment. 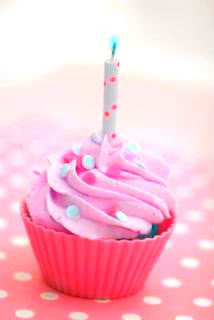 It was a nice day and a calm way to celebrate my birthday. My apartment is now overflowing with all the flowers I was given. I ran out of vases and surface area to put them! My boyfriend gave me a gift before people arrived and I was THRILLED when i opened the package. He gave me the Marc by Marc Jacobs Classic Q Ukita Satchel. I used this bag in Weekend Shopping Look of the Week. I love the bag. It is a gorgeous dark grey. It slouches beautifully and the leather is super soft. He did a great job picking out the gift and I can't wait to use it! Over the weekend I wrote a Guest Post for Amanda of A.Co Est. 1984 while she is on her honeymoon in Mexico. The post is all about my recent love for leopard print. Check it out HERE. Also, Today is the LAST DAY to enter My 100 Followers Giveaway. Click HERE to enter. Wow, really, if you ask me about this one, I might have to attached a list of it. I get inspired from a lot of different sources, but well, mostly it comes from the blogosphere. But to put it simple : Miroslava Duma, Annabel Ly from Blushing Ambition, and a girl name Henriette I found from The Streethearts. Zara, and.. anywhere else where I could find a good stuff with good prices :) even eBay is listed as favorite, only if they shipped to Jakarta. Well, I'm not so into what's in or what's out so I can't really answer this. I wear stuff I'm comfortable with and I don't really mind if it's a bit old-fashion, as long as I love it, it's fine with me. I don't know if this is the current trend or not, but I despised leggings as pants under a tunic. Gosh! Hurts my eyes whenever I see that. Especially if it's an 3/4 leggings. Because I'm an exhibitionist. LOL, okay, no. It's the same with other bloggers, you (fashion)blogwalking much and slowly but sure, that desire to start your own fashion blog will grow. So, here I am. Down-to-earth. I like it clean and simple without too much accessories. This definitely got nothing to do with summer, but I'm dying to buy a vintage Dooney & Bourke/Coach Briefcase Messenger style bag and a pair of JC, any pair will do. I'm a die-hard JC fans. Karl Lagerfeld! Gosh, I adore him too much, I don't know what to say. Europe, especially Italy! Never been there before, but that place is oh-so-amazing. I need to go and ride on a gondola at Venice one day. Don't forget to enter my 100 Followers Giveaway! . Only 3 more days to enter! I am a big fan of convertible bags. I love being able to have a large tote style bag and then a smaller more casual style bag once it's folded over. I especially love this Foley + Corinna bag because of the fun light leopard print. It would look great worn with black. 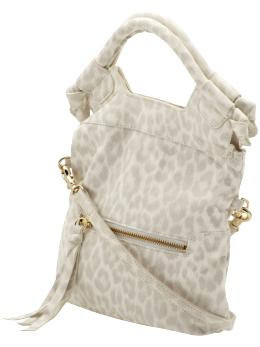 A bag like this isn't necessarily the most versatile due to the leopard print although the fact that it is light makes it a bit more wearable. If you have a lot of bags in your closet then adding a fun piece like this is a great idea. Don't forget to Enter My 100 followers Giveaway. It closes August 31st! Walk of Fashion hit 100 followers last night so as promised I am doing a giveaway. I want to thank all of you who read the blog and are helping it grow. I am giving away a copy of Who What Wear Celebrity and Runway Style for Real Life. 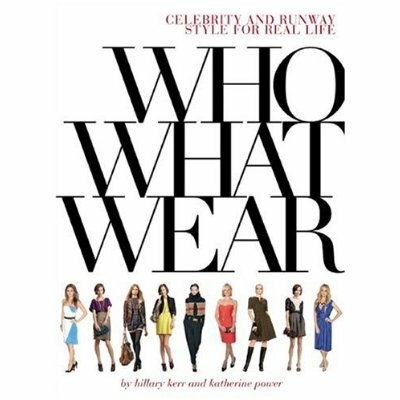 It is written by Katherine Power and Hillary Kerr of WhoWhatWear.com, which was one of the fist style websites I started to read. 1. Click Follow in the left side-bar through Google Connect. 2. Leave a comment on this post answering the question "who is your style icon" and leave your email. As long as Amazon.com ships to your country you are eligible to win. Here is a list of all the places they ship, which is pretty much anywhere! It looks like my obsession with Alexander Wang bags won't be ending anytime soon. I am pretty sure that I have an addiction to bags and there is nothing I can do about it. 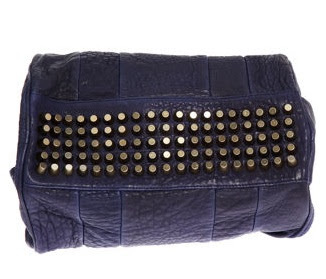 The Daria bag is simple and chic with a tiny bit of edge with the three studs on the handle. I love the simple shape and the roomy size of the bag. This bag is definitely not a show stopper but it would make a great addition to my closet as an everyday bag. Don't forget to Enter my 100th Follower Giveaway! I don't have a particular person to look up to, everyone inspires me really, from the top celebs like Alexa Chung, fictive figures like Serena van der Woodsen, to world-wide fashion bloggers. Pastel colors and vintage maxi skirts. Dislike is a strong word, I prefer saying that I'm not feeling the comeback of flare pants yet. I love seeing how people who aren't in the media spotlight are so passionate about fashion and their street styles and blogs inspire me so much. I love fashion as much as they do and would love for myself to inspire other people as well. Eclectic, but with my own touch of simplicity and vintage. I don't always go with trends, most of the time I try to come up with more and more ways to wear vintage stuffs that I have in the back of my closet. I always try to be creative with what I possess instead of racing to follow trends. A Jimmy Choo bag. Which is such a guilty pleasure, because well, I shop in thrift stores. Hahaha. A pair of flat boots bought in Australia for only $5 AUD. There are so many genius fashion designers I'd like to meet (and hopefully receive a gift from, tee hee) but since I'm not a designer whatsoever, I'd die to meet Alexa Chung. She makes looking stylish and fabulous so easy. Call me a classic, the answer is Paris. Beautiful city with amazing atmosphere, splendid sceneries, and ultimately superb fashion spots and people. To see more of Wynne's looks visit her blog Fashion Geek's Closet. Today I'm going to a Fancy Dress Party. Yes, Really. Dressing up for no reason at all. Should be fun! According to some "Fancy Dress" means "Slutty Dress" but I don't roll that way. 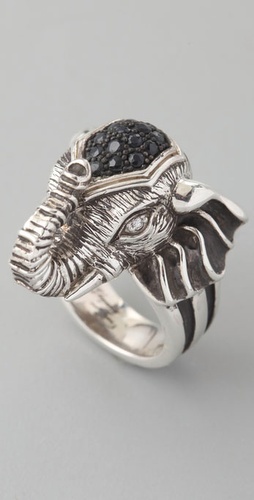 This statement piece from Elizabeth & James is amazing! This kind of ring is definitely not for everyone but, if you are a fan of big bold pieces then go for it. 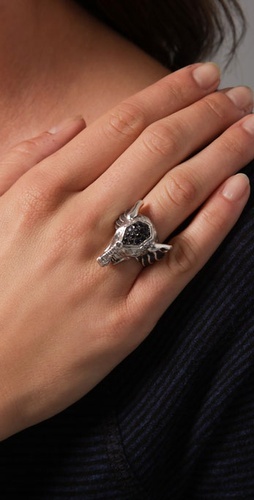 Elizabeth & James jewelry is quickly becoming a favourite of mine for their quirky and unique pieces. I would not wear this with crazy prints, simple is best when wearing a piece like this. 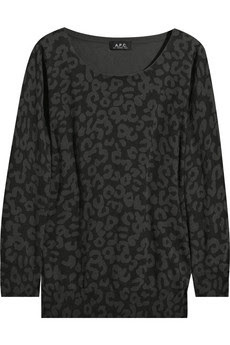 The description of this sweater calls is leopard print but I think it looks more like a graffiti print and I really like it. 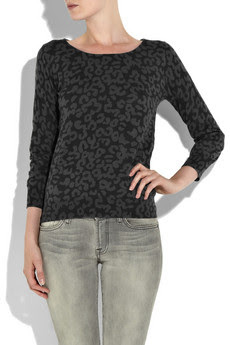 The price is a bit high for a cotton sweater but this blog is like a virtual wish list so price doesn't really matter. This sweater would be great for chilly lazy days. Throw this on with a pair of jeans and you will look put together. 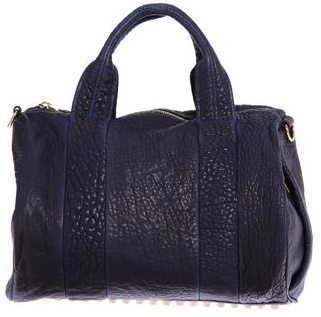 I love this hobo by Alexander Wang. 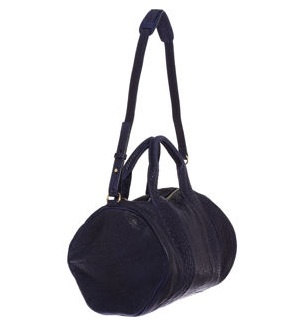 It is a simple yet modern and chic bag with a bit of unexpected edge with the suds on the bottom. I love that he has taken the studs we all love from the rocco duffel and worked them into this hobo. 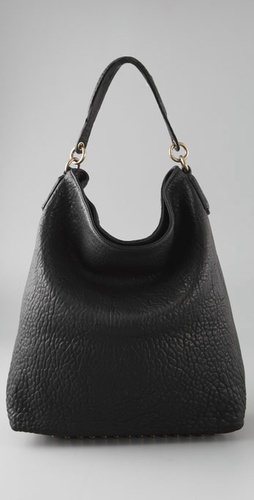 I love the way it slouches and the pebbled leather looks like it is very soft. I would love to have this bag in my closet. I have already declared my love for blazers and my love of chic stripes. So, that makes this blazer pretty much perfect. I know it is still summer but fall is just around the corner and I'm always cold. I like the way it has been styled in this photo but it could definitely be dressed down a bit more with denim. Try and keep it simple though, you don't want to look like a clown. In the States, it's definitely Loehmann's. I hate paying full price and I love finding buried treasure. Here in Greece, I am still getting familiar with the shopping, so I really can't name a favorite (yet!). I am really happy to see leopard print back in the spotlight. I would not be sad if the knee sock thing disappeared forever. I started blogging in 2007 as a way to have a little more fun with my writing. I wrote about anything that came to mind related to fashion and pop culture. But after moving to Greece I found myself pretty out of the loop when it came to what was going on back in the States, so in the spring of this year I decided to refocus my blog and turned it into a personal style diary. I think my style is pretty streamlined, but I like to mix it up with an interesting silhouette, fun pattern, or chunky piece of jewelry. A sleeveless lace dress. I had my eye on one on Shopbop, but I dragged my feet on actually purchasing it and when I was finally ready to hit the order button, it was sold out. Hmmm ... I think that would be my black Gustto bag. A brushed stainless steel bracelet for 50 cents at a thrift store in Red Wing, Minnesota about twelve years ago. It was originally one dollar, but the entire store was 1/2 off! Honestly, my wedding dress. It wasn't that I didn't like it, I did, I just wish I looked around more before I made my final decision. Diane von Furstenberg. I want to be her when I grow up. Ooo, tough question because my favorite vacation destination used to be where I currently live. But since I now call an island home, I think I would choose somewhere that has a little more of a city feel - maybe Monte Carlo. We went there on our honeymoon and it was fabulous. To see more of T's looks go to her blog Fashion-Butter.com. 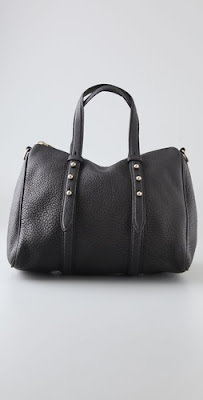 I've already posted about this bag and in yesterdays post I told you how this bag in black is next on my wish list. Well, I just happened upon this Barney's exclusive Rocco in a beautiful ocean blue. Its a good thing I'm not in a position to buy at the moment because I wouldn't be able to decide between black or ocean blue. I'm off to a bit of a late start this morning thanks to a car bomb that exploded a few blocks from my apartment building early this morning. I awoke to the loud nose and windows shaking...in my 1/2 asleep state I wrote it off as a really bad thunderstorm. My boyfriend on the other hand got out of bed saying it was an explosion. WHAT?! We went to our terrace and could see a plume of black smoke in the sky just a few blocks away. We figured the gas station in that area had had some kind of accident and back to bed we went. Twenty minutes later the phone rang and a friend who had turned on the news called to see if we were ok and to tell us it was a car bomb. Helicopters have been circling the area all morning so I've been a bit late in getting my day started. You can read more about it here and here. Now on to todays post. A few weeks ago I posted about my vacation to the coast and the purchase of Wayuu Mochilas. You can read about it here. I am now happy to share that the website WayuuMochilaBags.com and online shop is up! I hope to be getting new stock within a month or two. Some of the readers of Walk of Fashion have been asking when I'm going to show my face. I was a bit apprehensive because I liked being an anonymous blogger and no one in my "real" life knew about my blog. Well, my boyfriend was googling Wayuu Mochilas and stumbled upon the first post I wrote about our vacation to the coast...so, I guess there isn't as much of a point in being so anonymous anymore. LOL. So, with that being said, here are some shots that were taken for the website of me wearing a few of the mochilas. Note that my sleeves are uneven. Haha. Perhaps one day soon I'll do an outfit post. Go to WayuuMochilaBags.com to see what we currently have in stock. I recently added some pages to the blog and one of them was an About Me page. I answer all the questions I ask Girls of the Blogosphere. One of the questions is - What is one thing you are dying to buy this summer? My answer - "A Louis Vuitton Speedy 35. I've been saving up for it. I've wanted one since I was 14, now I'm 24. This purchase has been 10 years in the making. LOL"
I'm actually almost 25 so I like to think of this purchase as a nice early 25th birthday gift to myself. I knew exactly what I wanted so I didn't spend much time deliberating in the store. That is what happens when you think about buying something for 10 years. There is no need to spend any more time thinking about. LOL. I am a bit of a bag freak. I spend ridiculous amounts of time looking at bags on online shops like ShopBop.com and Net-A-Porter.com. After I left the Louis Vuitton store I headed across the street to Holt Renfrew where I spend about an hour looking at all the bags I look at online. The bag addiction will NEVER end. 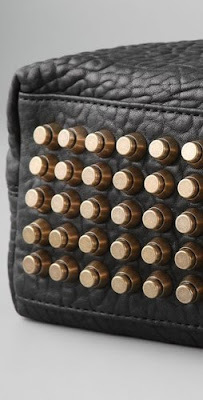 I decided that my next purchase will be the Alexander Wang Rocco Mini in black with brass studs and a strap. I hope I don't have to wait 10 years for it! For now I am going to enjoy using my Speedy! My current inspiration is whatever. Pictures, bloggers, landscapes, friends, magazines,movies, fashion editors, men and women unkown. I don’t agree when someone says : “I inspire myself”, that’s not true at all. Even if you are a creative person , every inspiration comes from sth more, from a previous and conscious (sometimes unconscious) work. And I can say that for me, the best way to be inspired is learning from the best. Definetely Zara which have three important requirements to shop there like good quality and price and of course the latest trends. Everything matched in the right way can be weareable but of course I don't like extremes in any kind. I am peronal fashion adviser so it was the main reason and because of that is the best way that I can express myself. I’d say that my style is a mix between classic and trend with a touch of urban style. But anyway I´m continually drenching myself with new stuff to put in practise then what I learn. Any sort of shoes, always shoes!!! A handbag or a pair of shoes made of synthetic leather. Well, every place has its charm but one thing is sure I do love the beach! To see more of Olga's looks go to her blog OStyle. I never used to like animal prints but lately I have been loving them. It is a bit strange. I am totally drawn to this cardigan. It is simple and cute and the leopard print makes it extra fun. 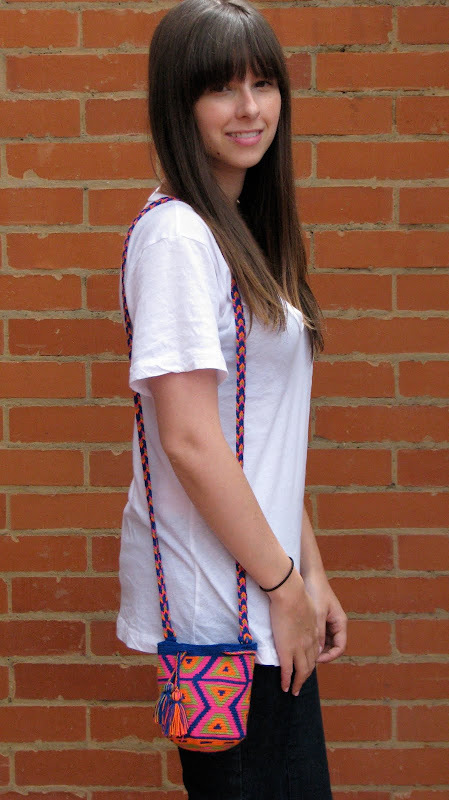 Paired with a white tank or tee like in the photo, jeans and flats make this a perfect casual look. I love to layer tanks and tees with different types of sweaters. This is a great sweater because it is unstructured, I am a big fan of loose fitting comfortable sweaters and this seems just right. The evenings have been getting cooler and this is a great piece to transition from day to evening with for those casual nights.